After last year’s successful mini Germany tour, I decided to do another one. Except I spent little time in Germany, and more in Austria! And I didn’t do it alone, I went with my Mum. 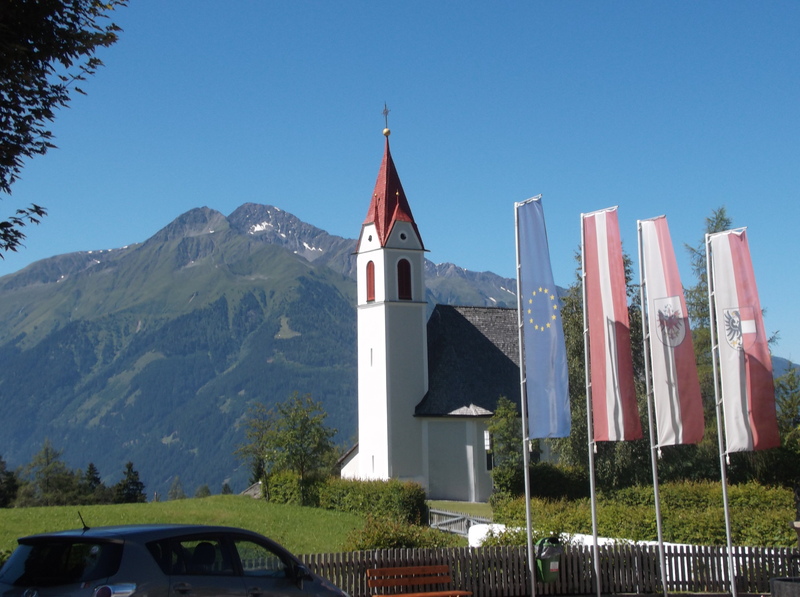 When I was little, we used to go to this little village in Austria almost every year, but then things changed and I hadn’t been there in 17 years. High time to go back! In addition, I had never been to Vienna, and really wanted to check that out. I wanted to see Salzburg too, but we couldn’t really afford adding an extra day. I’ll just have to go back! So we started off at my Gran’s in Wiesbaden and drove down to Munich. I’d been there before, but it’s really a lovely city and you can’t see it enough. What I really wanted to do was go to the Bavaria Film Studios, but it’s so far out I’ll just have to go again one day and do nothing else. We stayed on the outskirts of town but still had easy access to the city centre with the U-Bahn (underground). 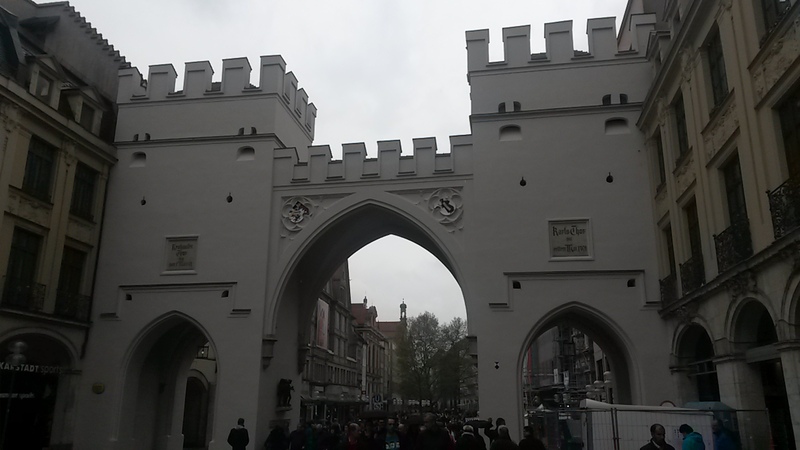 I really like walking around Marienplatz, getting some food from the Rindermarkt (Beef market- but really they have everything from veggies to cheese and especially loads of sausages) and just walking aimlessly around the old town. 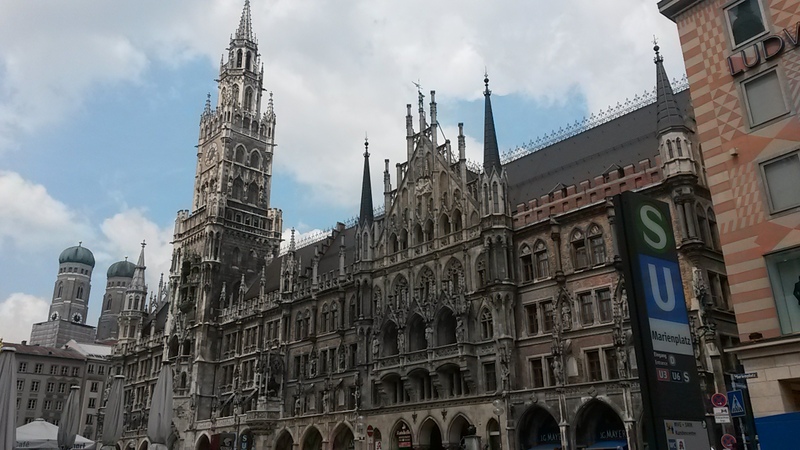 You can do walking tours that tell you a little more about the history of Munich (mainly related to beer) and you can take a bus tour if you’re too lazy or just crazy tired. On we went and drove to Vienna. Now, for me, Vienna was on my bucket list mainly because of all things Sissi related. 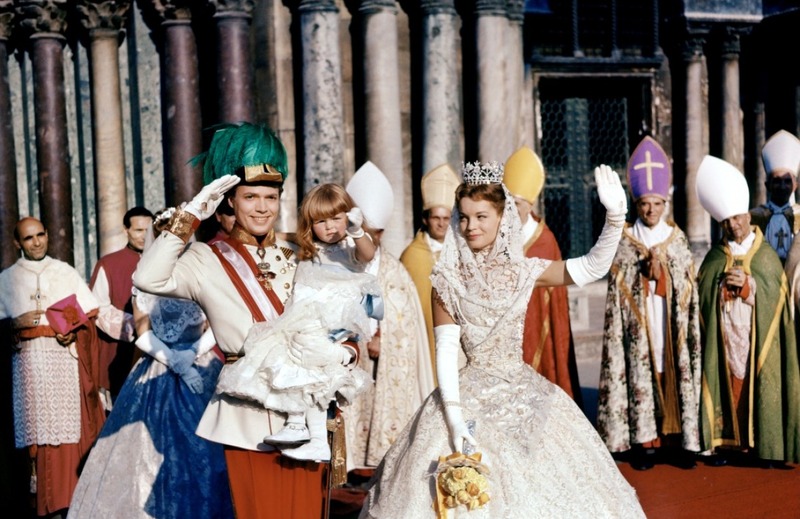 If you don’t know who that is, Sissi (or Sisi, different spellings) is the nickname of Empress Elizabeth of Austria, married to Emperor Franz-Joseph and the object of many films, books and speculations. The Germans adore her (there’s an adorable 3 film series, as well as more serious movies) and my Mum and I can quote most of the movies at any moment (“Der Handschuh hat meinen Papagei!”). 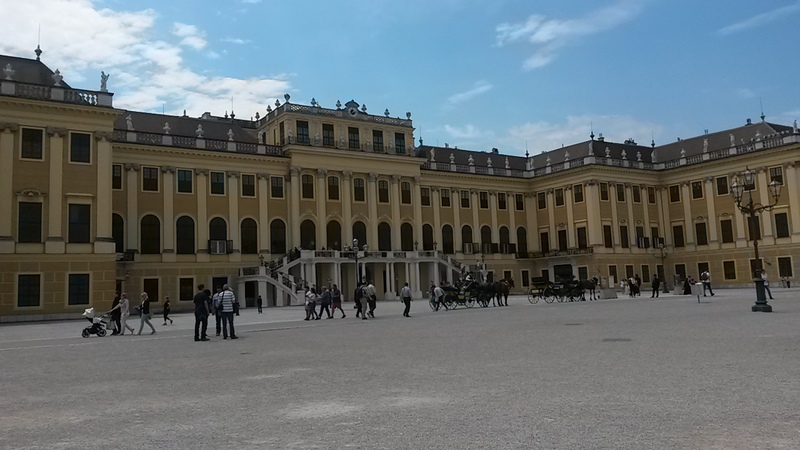 We bought the Sissi ticket, which gives you access to the Hofburg, Schloss Schönbrunn and the Imperial Furniture Collection. We didn’t manage to visit the Furniture collection because of an odd misunderstanding between their own website, Google and their answering machine, but we did the other two. Many of the exhibits and things you hear on the audiotour are quite similar, but they have made a point to display various items from their collections and it’s very nicely done. Obviously the shops are full of Sissi bags, bookmarks, pens and crowns, and you can tell a fan a mile away. 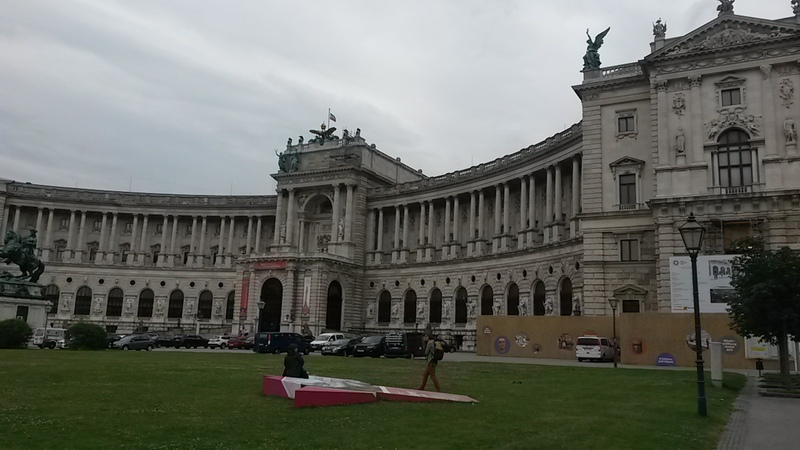 We also bought a 2 day hop-on hop-off bus tour which had various lines you could use so we saw quite a lot of Vienna and the commentary was always interesting. Just with very repetitive music. We enjoyed local cuisine (nothing beats a Wiener Schnitzel) and used a guidebook for cheap tips. I recommend the Café chain Aida for delicious and not too pricey cake. Obviously there are billions of Cafés in the city, but Vienna isn’t particularly cheap so anything under 5€ is much appreciated. 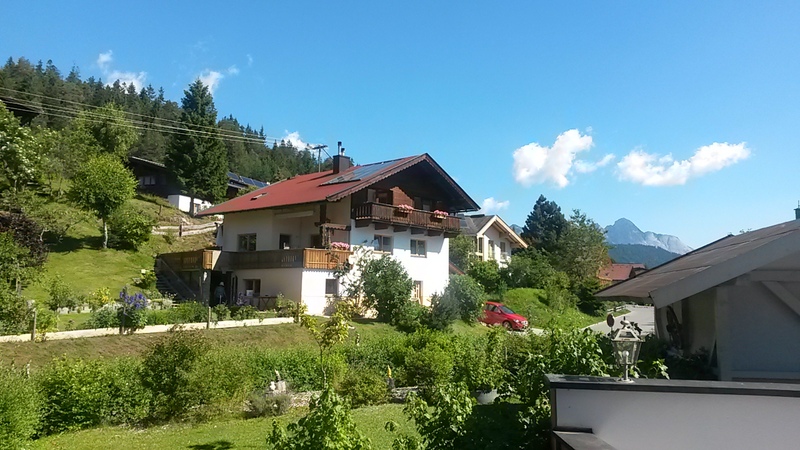 After 3 days, we upped and packed and drove backwards and onwards to Seefeld in Tyrol. Now, you might not ever have heard of it, but it’s quite famous for its Winter Olympics and avid Winter sports fans will know exactly where it is. It’s so beautiful and cozy and quiet that you’ll want to go back there as much as possible just to find peace. We booked a bit late so ended up in a hotel that was well-located and beautiful, but had hard beds and odd owners. Next time we’ll look for something a little nicer for sure. The best thing is of course the views. Mountains as far as the eye can see, fresh air, the distant tinkle of cow bells and the feeling that the world is still OK somewhere. My favourite thing to do in Seefeld is going to the big Olympia Swimming pool. It has several pools, bubble features, a children’s corner with small slides and games and two massive slides. One is your average tube slide and it’s awesome, the other is a little wilder and can lead to injuries (my back still hurts just thinking about it). But if you’re adventurous, it’s definitely worth the trip! Entry is discounted with the Seefeld card (which you automatically get at every hotel when checking in) and there’s a set price for a 4-hour stay. The town is also awash with tiny souvenir shops and countless restaurants offering local cuisine as well as Italian specialities (they’re so close…). There’s one big Chinese restaurant near the station (they were already there when I was a kid) and many bars and cafés. 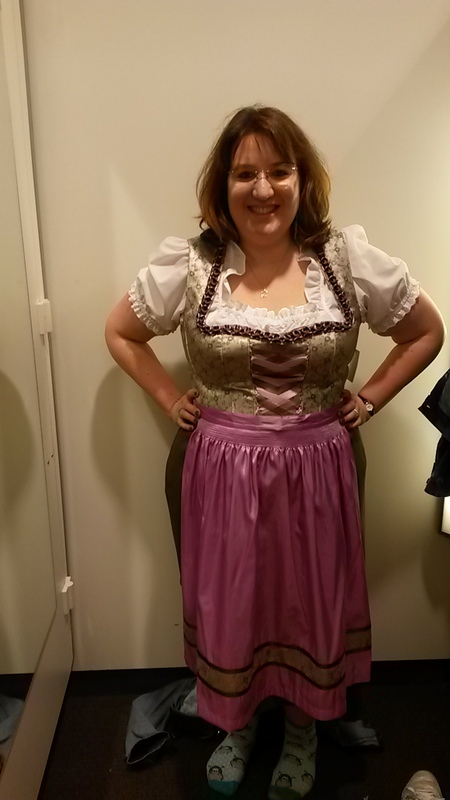 If you’re lucky, you will also experience a Kirchtag (Parrish fair) where everyone will be dressed in their finest Dirndl and Lederhosen and there will be food stands on town and maybe a concert or two. Most towns in Austria have these at some point throughout the year, sometimes you can even visit 3 or 4 because they’ll all be within one week or so of one another. Obviously we went to visit the village we used to stay at, Mösern. Now if there is a spot for me where time seems to stand relatively still, it’s this one. Very little had changed in almost 20 years, except for a few renovations and a planned building. The Church, the Freedom Bell, the mountains, the walking paths leading to the lakes, it’s all there. We ate at restaurants that have been there for decades, and felt like we’d just jumped back in time. We got a bit emotional because it felt like going back to a time where everything was still ok, people we loved were still alive and no one had a care in the world. We also went to the pool in Leutasch (about 20min from Seefeld) which is also quite nice, with a new outside pool with amazing bubble features, an Olympic pool where you can swim peacefully and the good old slide. Which I remembered much bigger. 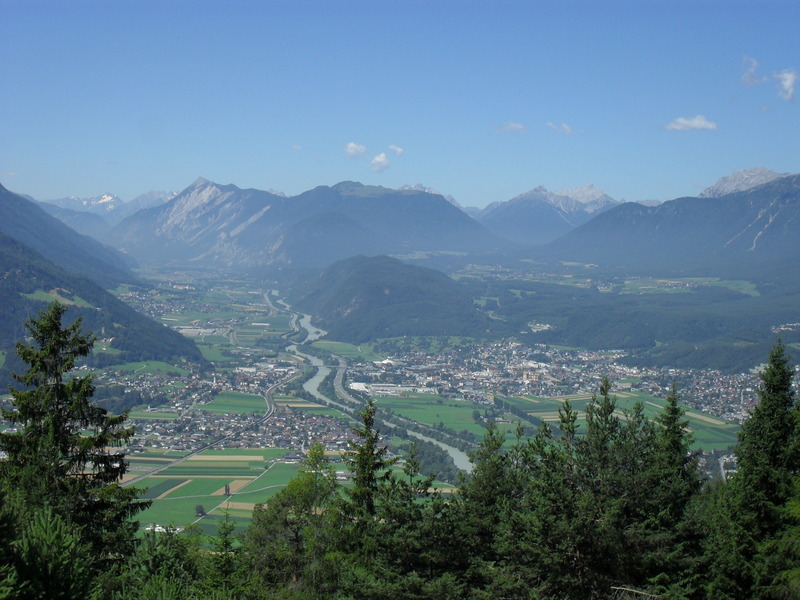 Similarly, it’s nice to have a day out in Mittenwald, which in Germany, just on the border with Austria. It’s beautifully Bavarian and offers great Mountain views, awesome food and a cute little stream running through the centre of town. And there endeth this year’s city tour. I can definitely recommend all of these places to you, and I’m all up for exchanging about places to go, so drop me a line! Tags: austria, Österreich, Bavaria, Bayern, Leutasch, Mösern, München, Mittenwald, Munich, Seefeld, Vienna, Wien. Bookmark the permalink.